When kids learn how to play an instrument, the neural connections that are made prime the brain for other aspects of human communication, and it appears to enhance cognitive skills like learning, language, and memory. These findings from Neuroscience News capture just how beneficial music lessons can be to a child’s development. Growing up, music was always a staple in my life, and still is today. I took guitar lessons as a kid, and I knew I wanted my own kids to do the same. When my son was born, I played music for him constantly. Once he was old enough to take music lessons, I was thrilled that he expressed an interest…not thrilled that it was in percussion, but it certainly fits his personality. He is loud, full of energy and can definitely keep a great rhythm. 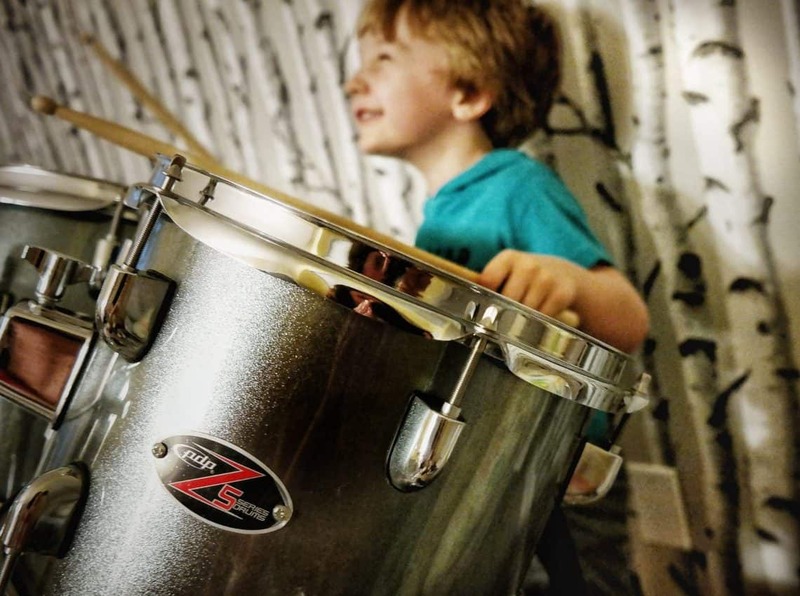 To start off, we got him an inexpensive junior drum kit to bang around on just to be sure it was something he would stick with and use for lessons. Surprisingly, he has been playing them every day. 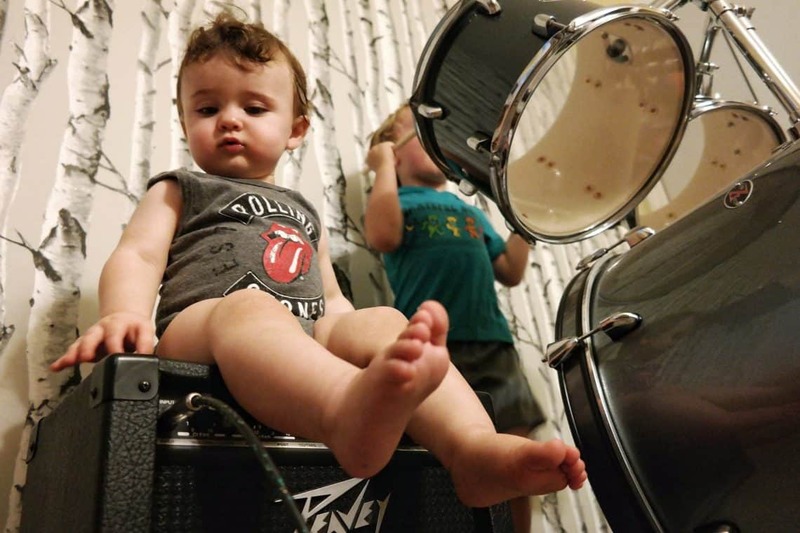 Despite the inherent annoyances of my child playing the drums, I know it will be a great experience for him especially since he has started preschool this year. 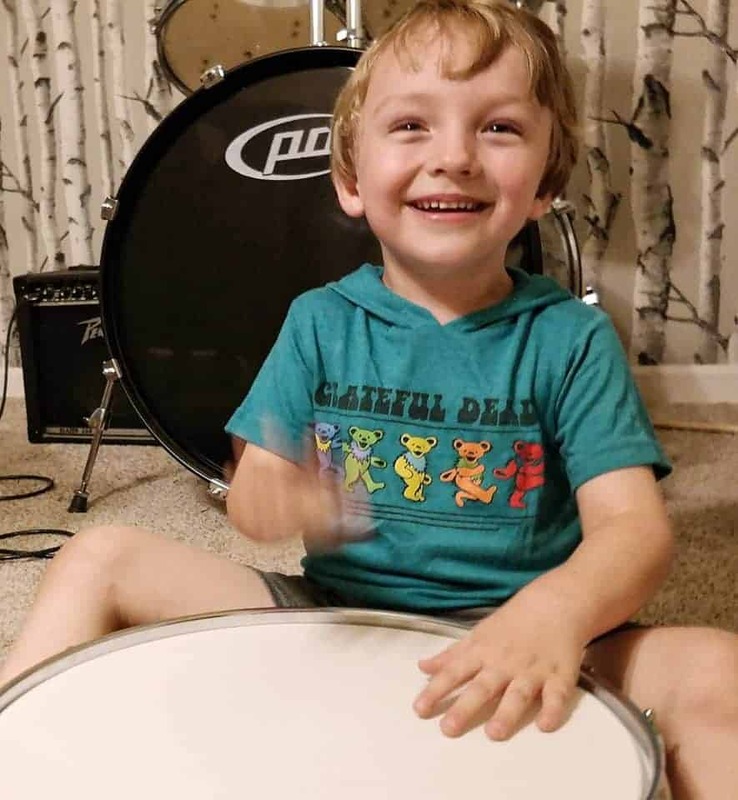 He has been a little overwhelmed with the routine of school, and learning to play the drums has become a creative outlet for him. It has helped boost his confidence, focus, coordination, and it is a great way to expel all that extra energy. Considering it has gone so well, we have decided to give him lessons to nurture this new passion he has discovered. As one of the largest independent music educators in the nation, Guitar Center will be our go-to for music lessons. They have more than 200 locations in the nation, and are a one stop shop for lessons. From instruments, repairs, learning resources, and instructors with a passion for music, I love that they have everything to further my son’s love of music. They even have weekly office hours to help discuss goals and lesson plans to best serve their students while making learning actually fun. Their approach to music lessons is far beyond the boring piano lessons my mother was always trying to push on me. They offer lessons for just about any instrument you can think of and for students of any age (Mom might like to try to pick up a guitar again!). Inside the store, their classroom atmosphere is open and inviting while promoting a sense of community among fellow musicians. Instructors are fully screened and are highly experienced with many that have formal training from music schools so you know your student is getting the best lessons available. The National Association for Music Education approves all of their curriculum programs which center around teaching theory through contemporary music and tailoring lessons to student-specific goals. There are lessons for whatever your kids might fancy, at any location and an achievement program that monitors progress of students. It is a six tiered program that goes from “opening act” to “headliner” in no time. It will be the place we take our next little Rockstar, too. 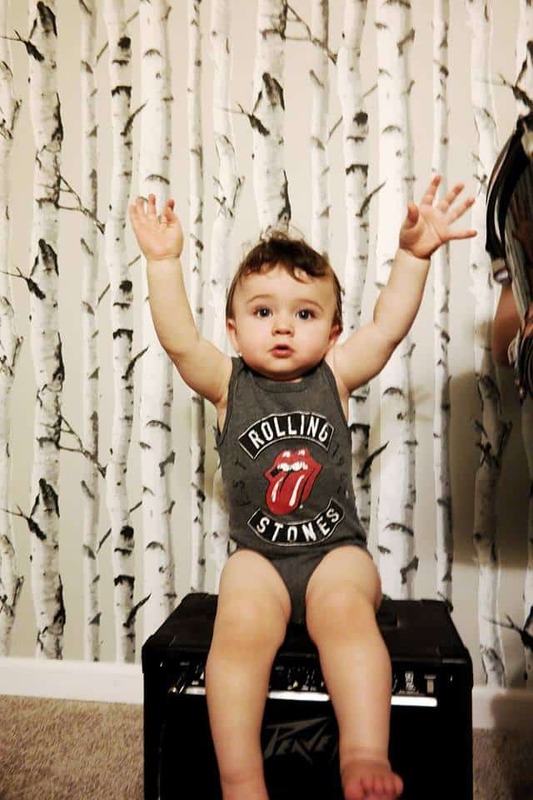 Find a store near you to give your kids the chance to reach their rock star ambitions…Or just encourage brain development and learning skills through music. Check them out on Facebook and Instagram.